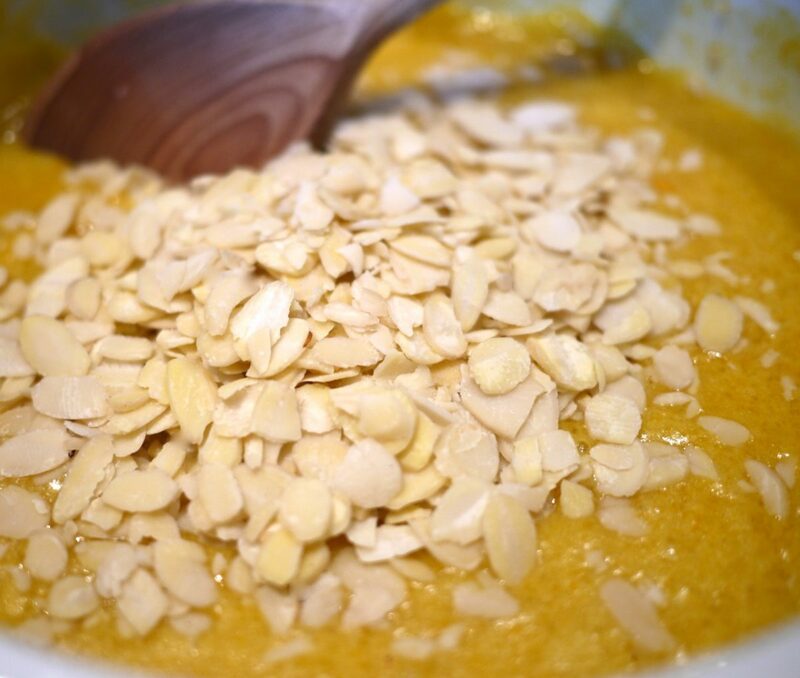 The whole flat smells of almonds and oranges – like Christmas! 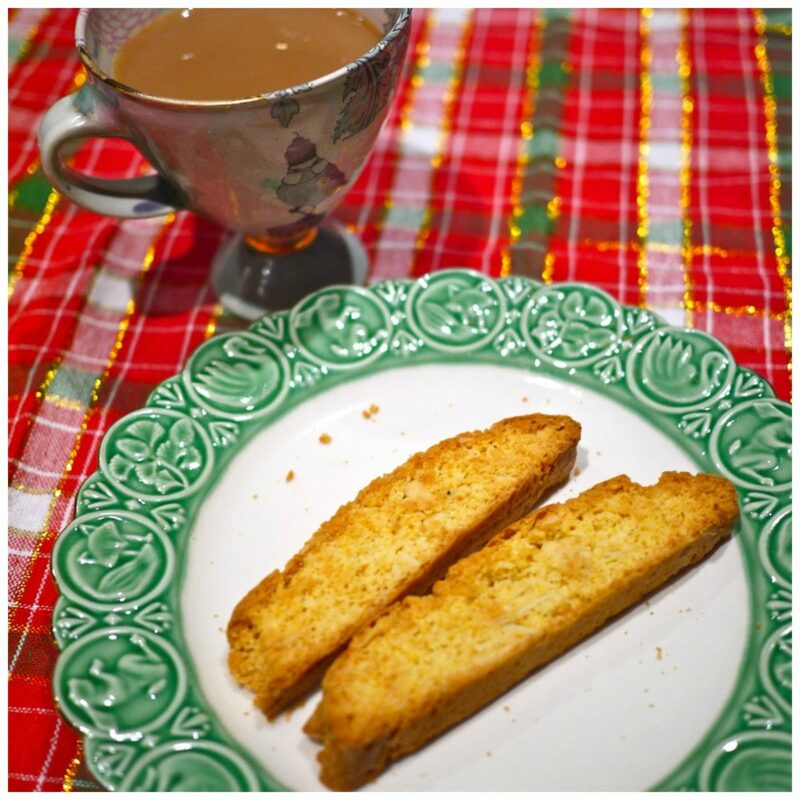 I’ve dug into Deb’s archives full of treasures on Smitten Kitchen and pulled out the most delicious recipe for almost biscotti. 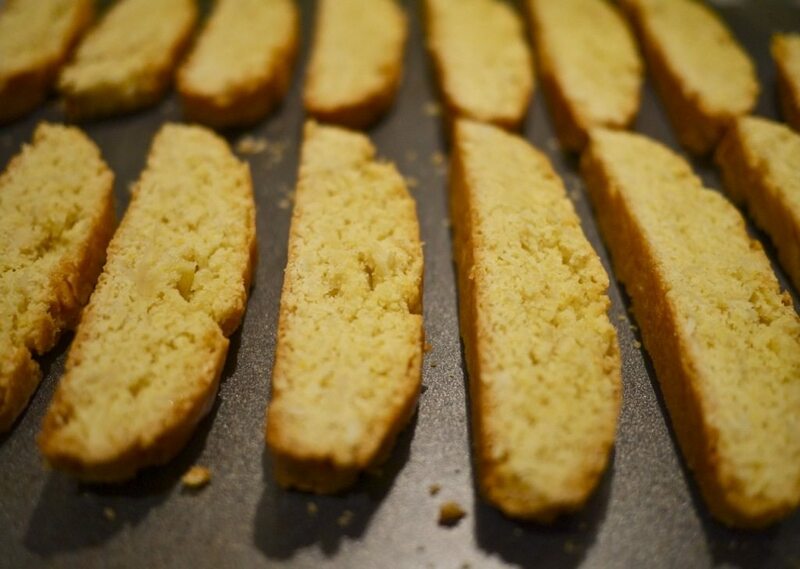 This is my first attempt at making biscotti, ever, and she nailed the recipe for beginners like me. 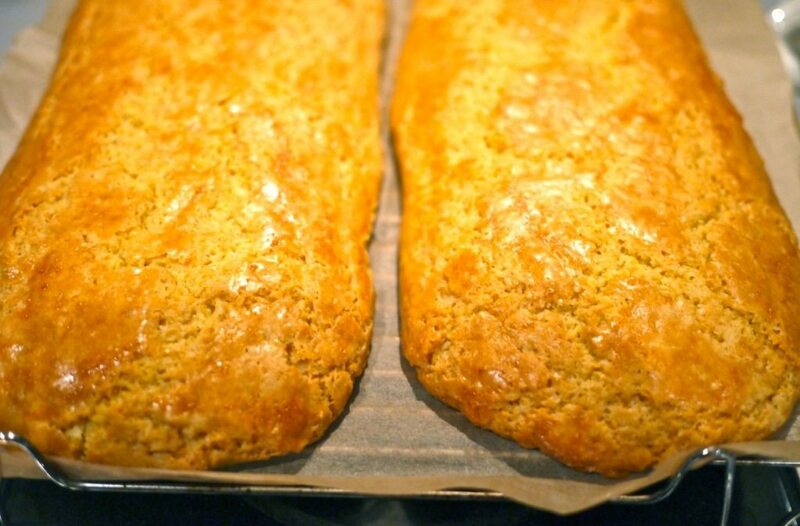 It was on Deb’s blog in 2008 and she adapted it from a Bon Appetit recipe from way back in 1999. So it’s tried and tested (and makes a ton, so plan on sharing)! They’re great to have around the house for morning tea and coffee, especially if you have guests staying for the holidays. Pre-heat the oven to 350F / 176C. 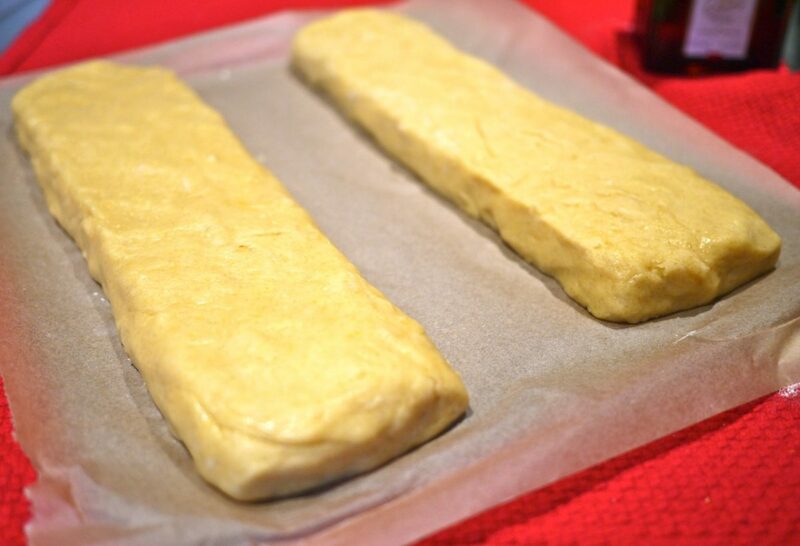 Prepare your baking sheet by lining it with parchment paper. 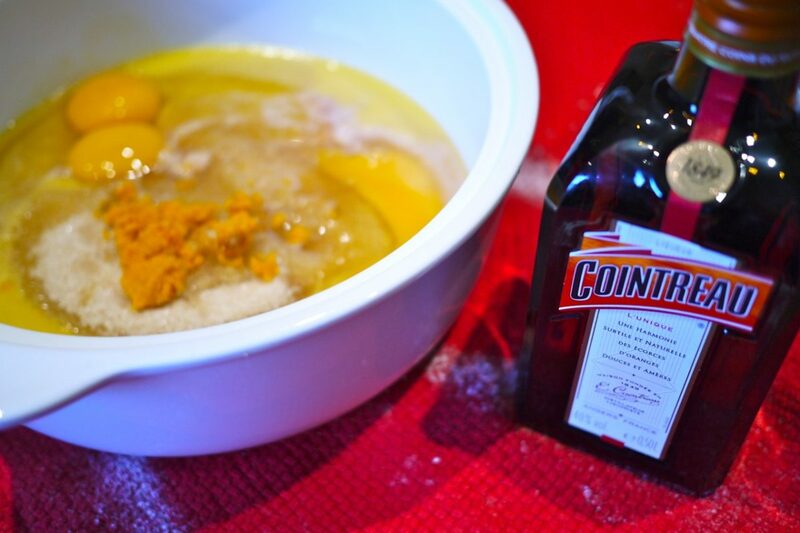 In a large bowl, mix together the sugar, melted butter, eggs, vanilla, liquor and orange zest. Toss in the almonds and stir. 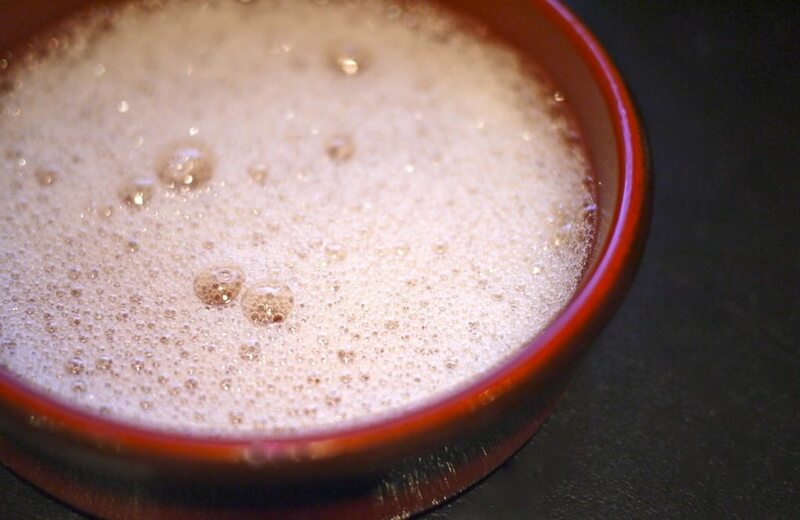 Using a wooden spoon, blend the dry ingredients into the rest. 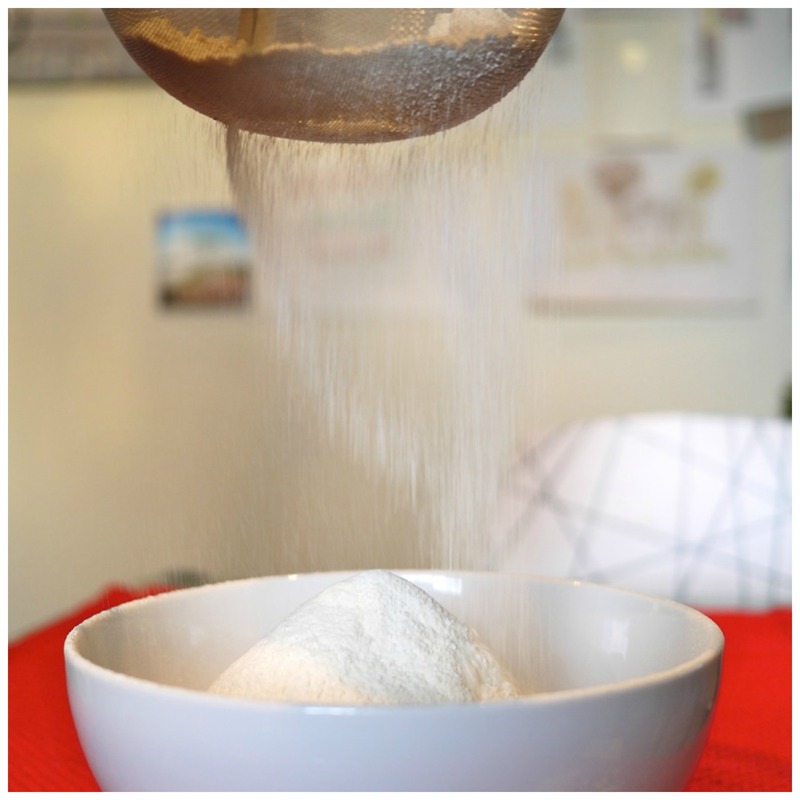 With floured hands, split the dough into two and shape into pieces about 13 inches long and about 2-3 inches wide. 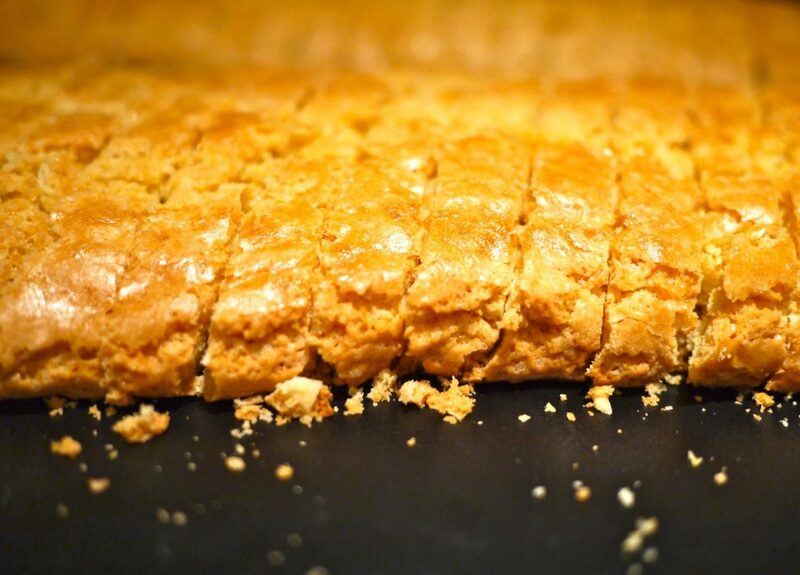 Place these on the baking sheet. 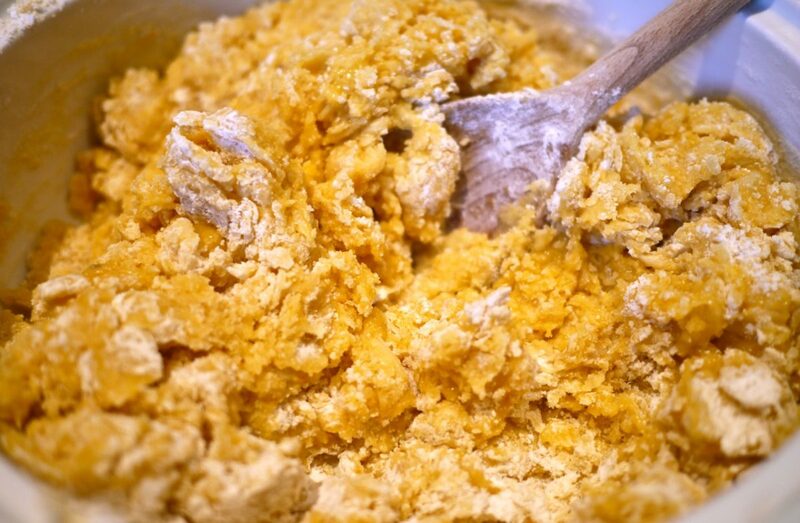 Whisk your egg white until it’s foamy and then brush over the top of the biscotti. 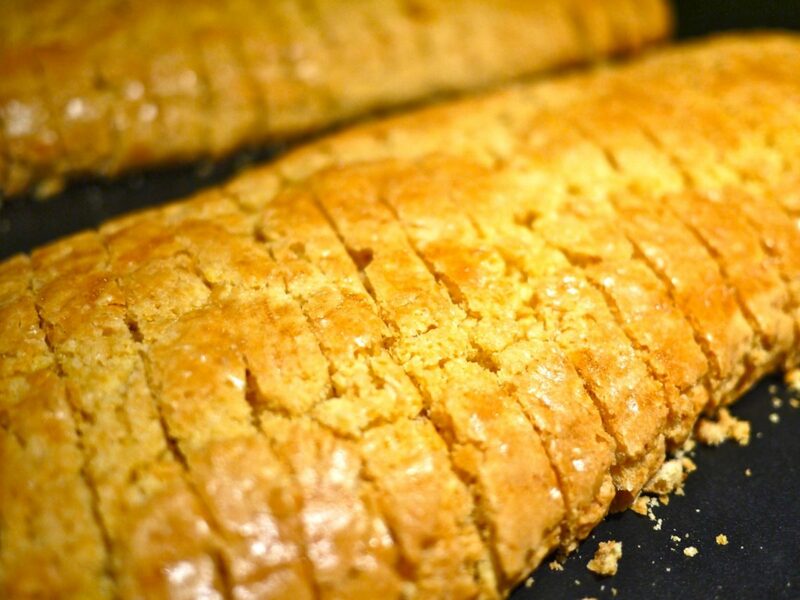 Pop the biscotti into the oven for 30 minutes, until it’s golden brown. 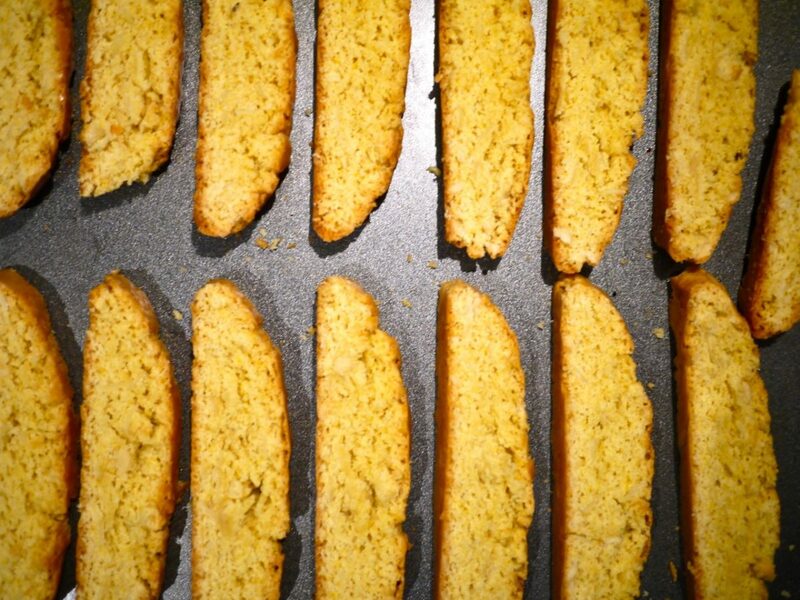 Take out and transfer the biscotti on the baking parchment to a wire rack. Leave it to cool for about 25 minute. Keep the oven on to maintain the temperature. Using a serrated knife, carefully cut into 1/2 inch slices. Put the slices cut side down onto your baking tray and lay them – cut side down – onto your baking tray. They’ll need about 12 more minutes in the oven. Then take them out and flip them over. Set them out on a plate for all to enjoy! Make sure to store these in an airtight container so they don’t dry out quickly. IF that is your first attempt I am well impressed. 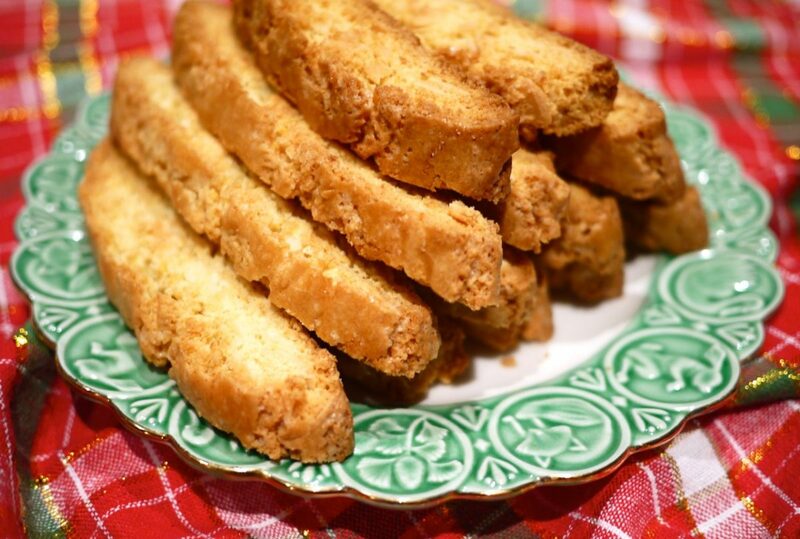 The biscotti looks wonderful and have inspired me to go on and try making some myself. This sounds delicious! I bet your flat smelled amazing!! !